A South African adventurer who has circumnavigated the Artic Circle solo, Mike Horn has been a Panerai ambassador for well over a decade. 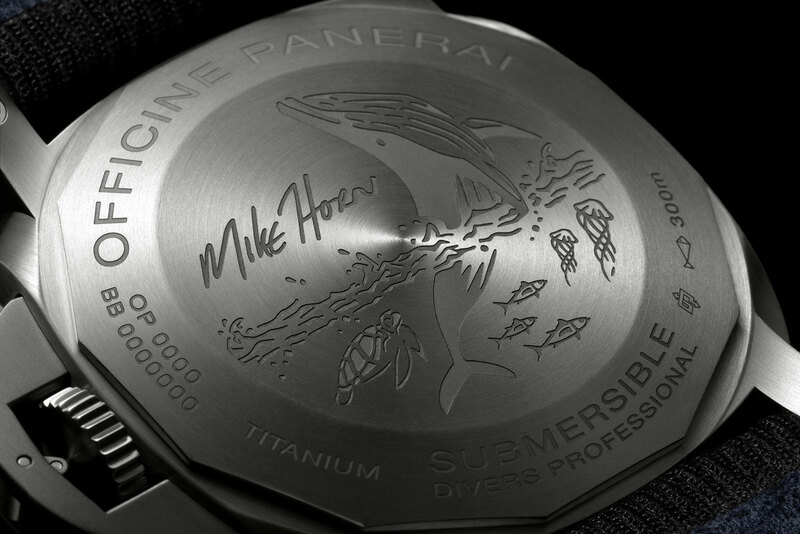 Several watches has been produced to commemorate his exploits, but latest Submersible Mike Horn Edition includes a little extra: “a few days of intensive training with Mike among the ice floes of the Arctic”. 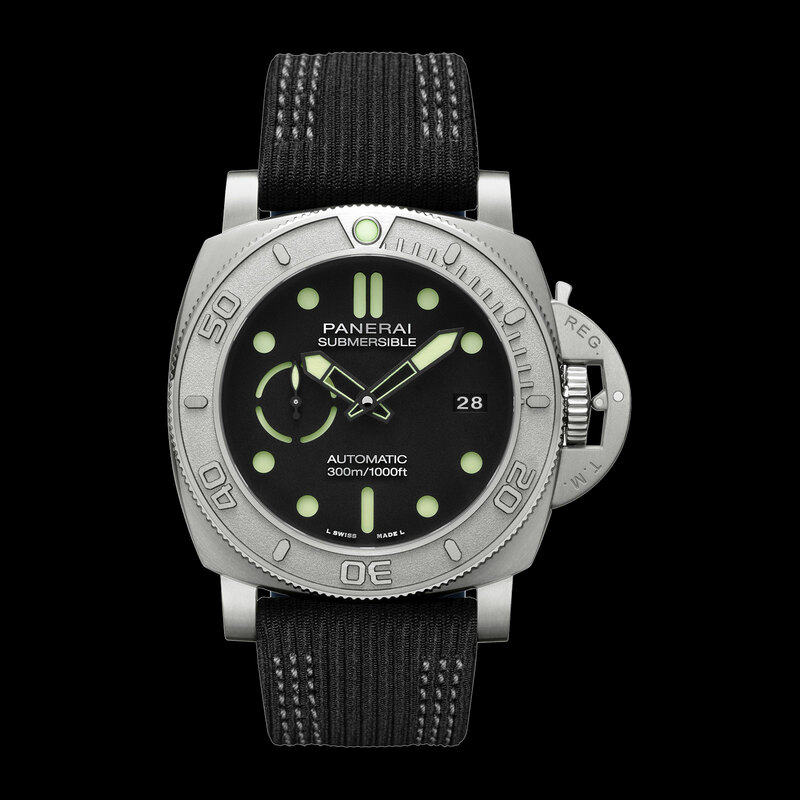 There are actually two almost identical Submersible Mike Horn Edition, the PAM00984 and PAM00985, but only the latter is a limited edition accompanied by the Arctic adventure. The basics of both watches are similar: a 47mm case rated to 300m with the automatic P.9010 inside. 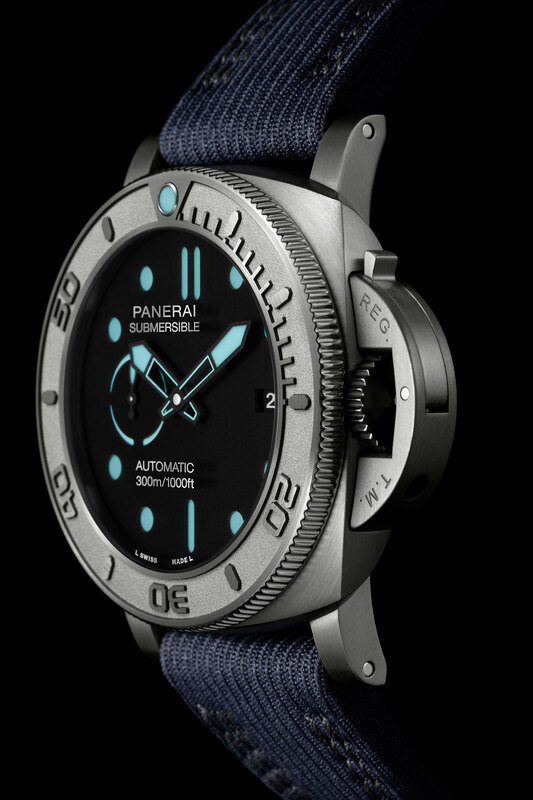 What is unusual is the bezel, which has its markings in relief against a sandblasted surface, a first for Panerai. Also having been slightly tweaked is the dial, with its sub-seconds and hands slightly redesigned, though it still retains the familiar “sandwich” construction. And what looks like lettering on the dial, namely the logo, model name, “automatic” and depth rating, is actually printed on the underside of the crystal. Perhaps more unusual is the case material, EcoTitanium, which is recycled titanium, but for all intents and purposes identical to the freshly mined titanium used in most watches. Also recycled is the fabric used for the straps that’s woven from recycled PET. 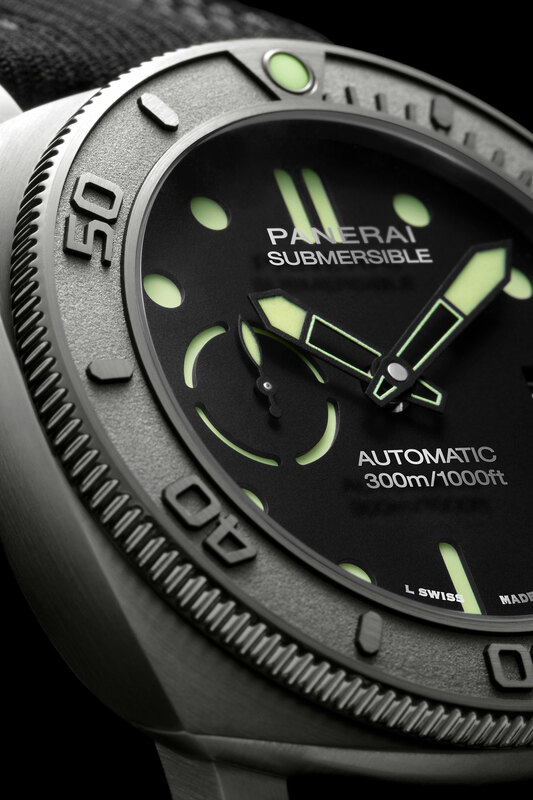 The Submersible Mike Horn Edition PAM00984 features a black dial and green Super-Luminova. This is part of the regular collection. 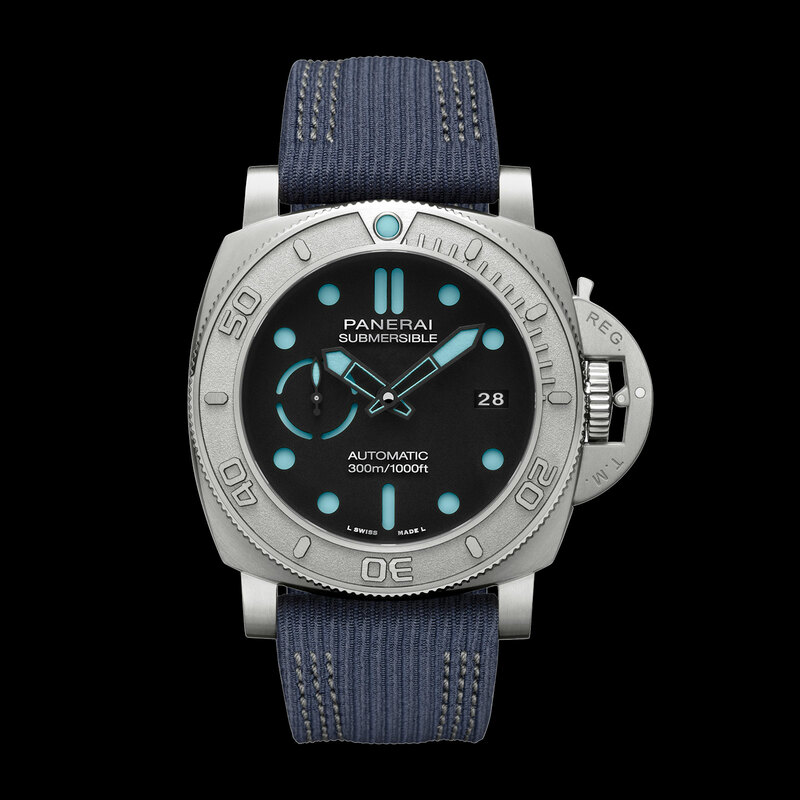 Able to provide the time but not the wherewithal required to survive in the Arctic, the Submersible Mike Horn Edition PAM00985 is a limited edition of 19 watches – all 19 owners will be offered the chance to spend a few days with Mr Horn in the Arctic. 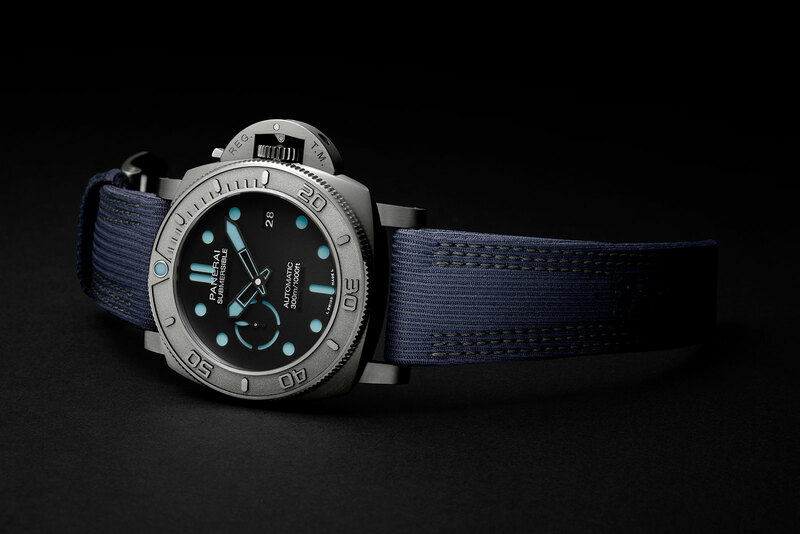 It has a black dial with blue Super-Luminova, along with a strap made from blue recycled PET. 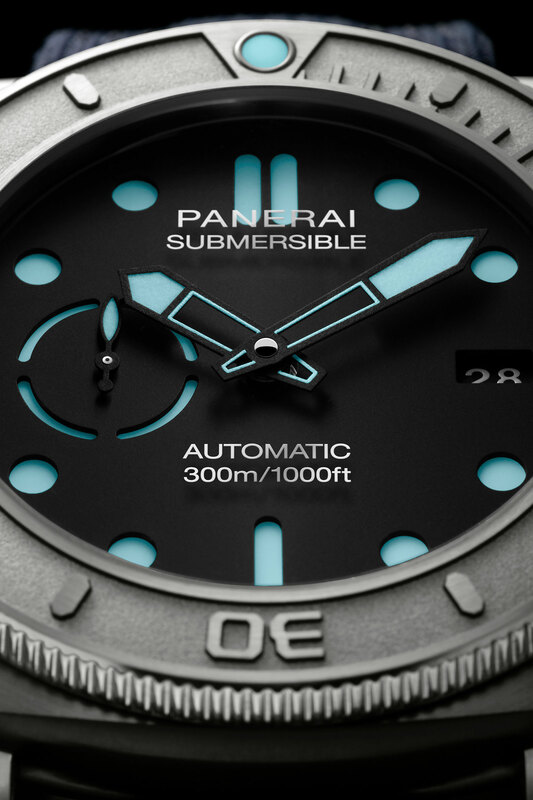 The Submersible Mike Horn Edition PAM00984 will be available at retailers and boutiques, priced at €19,900, or S$29,300. On the other hand, the Submersible Mike Horn Edition PAM00985 is exclusive to boutiques, priced at €39,900, or S$58,800. And to all of the 19 lucky individuals headed for the Arctic – godspeed.